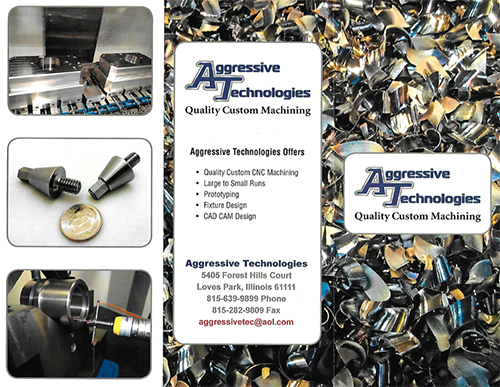 Choose Aggressive Technologies for your custom CNC machining Needs! We offer short, mid, and high production runs. As well as blanket order and parts stocking for JIT deliveries. We offer CAD/CAM programming and ALL common file types are supported. Call us for specific file type definition. If you are having trouble with your own product design, we can help you with our vast knowledge of Cad/Cam design, engineering, and machining experience.